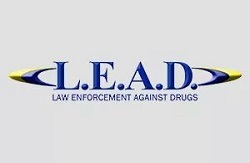 Law Enforcement Against Drugs (L.E.A.D.) is a non profit (501C3) organization, supported by dedicated police officers, committed to protecting our youth and communities from the proliferation of drugs, drug related crimes, peer to peer/cyber bullying and violence. 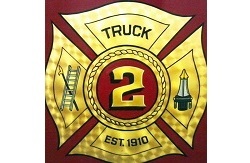 They achieve their goals by collaborating with educators, community leaders, families and L.E.A.D. support organizations. They have four locations in town for your convenience. Railroad ave and third st at the gas station. The elks lodge in the parking lot. SFYG is a place for youth in 7th-12th grades to feel at home, connect with friends, make new friends, have fun and learn about God. 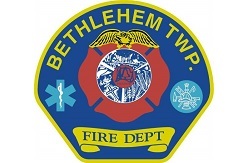 The Mission of Bethlehem Township Volunteer Fire Company is to protect the life and property of the residents of Bethlehem Township and surrounding communities, by providing highly trained and motivated emergency personnel with the finest equipment available. Clothing is a basic need, just as food and roof over the head. However, millions of people around the world cannot afford new clothes. Clothes are about human dignity. They are a form of self-expression and make us feel more self-confident. 80% of humanity lives on less that $10 per day and nearly half the world’s population lives on less than $2 per day. For many people buying used clothes is their only option. Around 60% of all clothes collected will be worn again. When you recycle your unwanted clothes and accessories, you help organizations in your own community and therefore its sustainable development. You can find out who you help, by looking at the poster on the bin you choose for donation.